Virginia CURE is a membership organization whose focus is on the Virginia criminal justice and prison systems and the people whose lives are impacted by those systems. 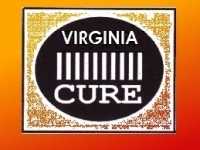 Virginia C.U.R.E. is a Chapter of International CURE. Virginia CURE members automatically enjoy membership in International CURE and receive National newsletters, and opportunities to attend conferences and meetings. International CURE sets nationwide organizational policy. The director conducts operations with the assistance of the Board and the President. Established on January 15, 1988. In 1992, Virginia CURE began the journey as an effective and respected voice in bringing attention to challenging criminal justice and prison issues that might otherwise be ignored. To accomplish its goals, leaders network with other organizations and the Executive and Legislative branches of Virginia government. Over 30,000 men and women are incarcerated in Virginia prisons and thousands more are on or have been on probation or parole. Over 90% will eventually return to the community. For the sake of public safety, restoring the lives of offenders, their families, and crime victims, every effort is made to advocate for criminal justice policies that focus on restorative justice. Virginia CURE networks with other organizations to address issues such as the costs of telephone calls from prisons, shackling of pregnant prisoners, and ex felon voting rights. There is a CURE presence in every city and town where a member lives. Local chapters meet monthly in various areas of the state for family support, information sharing and an advocacy network. Virginia CURE carefully monitors legislation before the General Assembly, and CURE members receive legislative updates through email and the website.